Hi guys I don't know about you but i've always wondered what it's like to wear contact lenses. Occasionally when I see my friends wearing contact lenses I would always be amazed with how it enhances the features of your eyes. I know that some contact lenses may not look natural but once you find the right type to suit your eyes, it would really make you look magical! As far as I know contact lenses has been designed and created for those who are having trouble to go through their daily lifestyle with spectacles, especially when they keep falling off when you're in a rush. I even have friends who told me that the reason why they choose to wear contact lenses is because spectacles lowers their self esteem. So here are contact lenses to save the day! Not that I need contact lenses but this blog post has been written to share with you my experience of wearing contact lenses for the first time. After years of wondering, i finally took the courage to give it a go, as they say, when you never try, you'll never know. Boohoo. So here i have the Bausch+Lomb Lacelle Dioman Daily Soflens in D-Pink. Each box of Bausch+Lombcombs contains 8 pieces of contact lens which is suitable to be used for those who seek for comfort design. This has also been designed for daily disposed so once worn, it would be best to use a new one instead of reusing this. With every lens purchased, its best that you have a lens solution for hygiene purposes. Before I forget I was advised to get a Renu Fresh ( for colour lens) solution. The solution has been specially created for cosmetic lens user, to give users a peace of mind when wearing lenses. Did you know that by using proper cleaning solution for your contact lenses with prolong its usage life, especially for contact lenses that has been designed to be reusable? Also, with every bottle of Renu Fresh purchased, you'd receive a contact lens case which comes in handy especially for first time users like me. Hehe. I decided to use my middle finger to place my contact lenses onto my eye. Now for the serious part. First, you are required to remove the contact lens from its packaging and then wash it with the lens solution before applying it onto your eyes. It is important that you clean your hands and your lens properly as our eyes are very fragile compared to other parts of our body. After all, you wouldnt want to risk the health of your eye sight correct? Hehe. Please also take note that you have to be gentle to prevent from tearing your lenses, so its best to make sure that your nails are short when cleaning. I used my index finger to open up my lower lid while my other hand pulls my upper lid for preparation. Next once you are comfortable with the cleanliness and hygiene of your contact lenses, you can start by placing your contact lenses ( like in the image above) on your middle finger. With your middle finger balancing the contact lens, use the index finger to pull down a part of your eye lid while the other hand pulls up a part of your eye lid for easy application. Psst, it can be applied in any way you prefer, but personally i find this way easier to apply. Don't be worried if you can't do it but the first 10 minutes because it took me about half an hour to get it right. After all practice makes perfect. I actually wore it to work and surprisingly most of my colleagues told me that my eyes looked bigger and brighter with the lens that I wore that day. I was actually impressed that even after 8 hours, it felt like there was nothing it my eye. I presume thats why it has been design to ensure a perfect fit. So tell me, what do you guys think? Hehe. To remove, i used my middle finger to pull my lid down, while my thumb and index finger does the work. If you think your contact lenses are still in good condition, you can always place it back in the case to prolonged its usage. And thats about it! It wasnt that hard was it? A little review on my first time lenses the Bausch+Lomb Lacelle Dioman Daily Soflens in D-Pink, i would have to say that once its worn, you really feel like theres nothing in contact with your eyes. It was to the extend that i had minor difficulties to remove it cause it realy felt like nothing. LOL. But for first timers, i would have to say you dont have to worry about your eyes turning red when wearing this, and its good to have the lens solution as its so much easier to apply the lens on when its wet. Tip: Dont rush into it when youre doing it for the first time. It took me a good 30-45 minutes to get it in and about 10-15 minutes to get it out for the first time. I have yet to get used to it, but i believe that when you get the correct lens, it shouldnt be a problem! Disclaimer: I received these lenses from Bausch + Lomb lenses for me to try as a first timer and these are not purchased. Did you know that by donating blood, you are actually savings lives of people who needs it in order to survive. Usually blood that has been donated would be used to treat patients who are going through surgery, anaemia, who has cancer clood disorders and more. I never really noticed how important it is to donate blood, but believe me when i say that the blood you donate would be used to good use to save lives of people who would have died without your help. I mean think about it, you can actually be considered a hero to many. 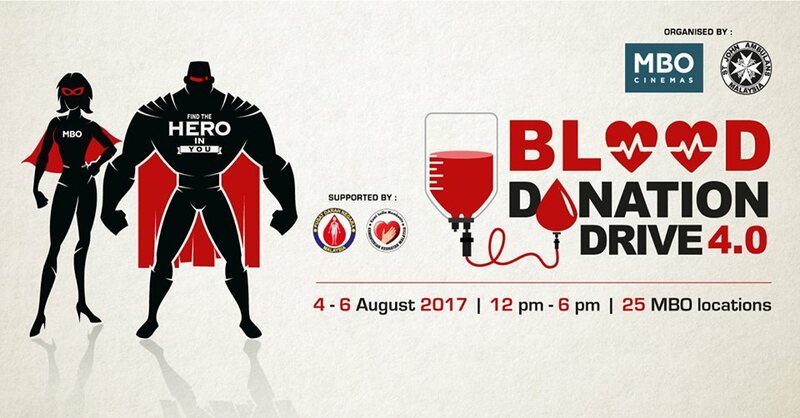 In a week or so, MBO will be joining hands with St John's Ambulance Malaysia and the National Blood Bank for their annual blood donation campaign which would be held at MBO Cinemas nationwide from 4th to 6th August 2017. 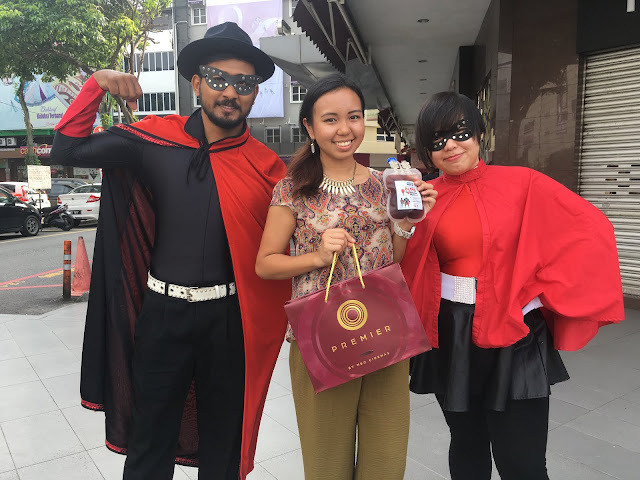 This year, featuring its Superhero theme Campaign, they aim to attact at least 5,000 donors to help top up the depleting blood supply at the national Blood Band which runs low after recent fasting month and Hari raya celebrations. Within the past three years, the campaign has successfully collected close to 10,000 pints of blood and MBO counts on customers and fans to make this achievement once again possible. Did you know that each pint of blood can save up to three lives? Be a part of the heroes this coming weekend! MBO is reaching out to moviegoers and their family members, friends and colleagues to come together for this years campaign and 'be heroes' by just donating blood at an MBO Cinema nearest to you. Being a hero does takes courage, but of course to be a hero is to overcome your fear of blood and needles, especially when youre a first time donor. GAIS, chill, even i've never donated blood but i think its about time i save lives. And trust me when im as afraid as you are too if youre a first timer as well. And if you have been donating blood regularly, i would like to take this opportunity for you to share with your fellow friends the importance of giving blood so that the blood stock can be kept at sufficient levels before an emergency arises. Did you know that only 2.2% out of 3 million Malaysians donate blood when other countries are within the average of 3.5% to 5% out of their population? COMMON GUYS! Lets bring those numbers up, for our people and of course for the lives of our people. Be a hero and get rewarded! Kedah and Johor: Alor Setar Mall, Landmark Central Kulim, Central Square, Batu pahat mall, Kluang Mall, U Mall Skudai, Heritage Mall Kota Tinggi, KSL City Mall. Klang Valley, Perak, Melaka, Sabah, Sarawak, Negeri Sembilan: Starling, Brem Mall, Citta Mall, Galaxy Ampang, Harbour Place, Kepong Village, Desa Petaling Spark, Setapak Central, Space U8, Subang Parade, Viva Home Mall, Era Square Mall, Melaka Mall, Teluk Intan, Taiping Sentral, Imago Mall, The Spring. Be a hero, donate blood, save lives! 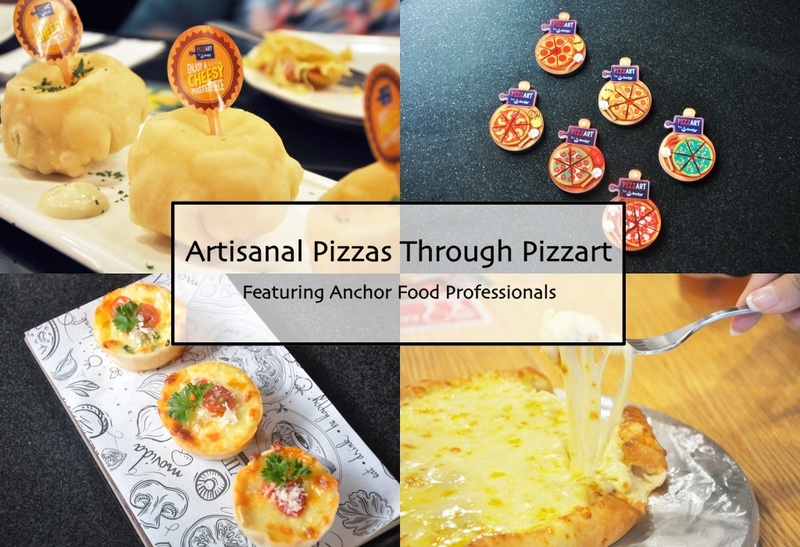 This post brings me excitement and joy because Anchor Food Professionals has recently launched an exciting campaign with their partners and this time with a twist by recreating the art of Pizza! When pizza is mentioned, if youre a pizza lover, you would definitely love the closest ingredient to it, CHEESE! Celebrating pizza in this new campaign "PizzArt", it really brought pizza a notch up into a form of art. From had-core foodies, to discerning gourmand, these pizzas would not dissapoint. Anchor has collaborated with 25 outlets in Peninsula and East Malaysia, where Anchor Food Professionals ntroduced artisanal pizzas that has taken my world (and possibly anyones world who ecounters it) by storm. Believe me when i say that the pizzas are masterpieces of its own, namely flower pizzas, pizza bombs, adjaruli khacapuri, mini muffin pizzas and pot pie pizzas. These pizza's are just waiting to be devoured from May to mid November 2017, and yes that means its only available for a limited time only. These artisanals pizzas were conceptualized artisticly by Anchor Food Professionals Hot Cooking Chef and i believe that they actually took a lot of time and effort to make it happen. OH, did i mention that the pizzas are to be made by the kitchen crew which means that they are simply made fresh? These are REAL pizza's we're talking about here. I was told by the kitchen that they had to even attend workshops to have specialized skills in preparing these artisants pizza too. Talk about exclusiveness ey? The recipes to prepare these delicous looking pizzart's calls for only the finest ingredients which features Anchor Mozzarella Shredded Chesse, Anchor Unsalted Butter, Anchor Colby Cheese, Anchor Cheedar Cheese, and Mainland Edam Cheese. Anchor to me and many Malaysians has already took the leading position in the dairy segment, and i have no doubt that when preparing meals with their ingredients would bring your dish to an upper class standard. And U Pizzeria for some cheesy pizza goodness! With the new launch of PizzArt, Anchor Food Professional hopes to create a 'new age' of pizzas in Malaysia. Psst, if youre looking forward to try out these exclusive pizza's with friends, family or even by yourself, they are avalable at Movida and U Pizzeria in Klang Valley, Movida and U Pizzeria in Perak, US Pizza and Lunarich in Penang, Sky Garden Resto Bar in Kedah, Movida in Melaka and Johor, Ejohng Concept in Johor, The Chubs Grill and Mad Ben Cafe in Sabah and Chillax Cafe & Bistro, Coup De Grill and Bistecca & Bistro in Sarawak from May to mid November 2017. Get rewarded for eating Pizzart! To all collectors! You will also be able to collect all 6 designs each time you dine in and order a pizzart from any of the participating stores. Arent these the cutest?! Psst, even im half way collecting it and it makes eating pizzart more fun! Teehee. Whos with me? For more exciting events and announcements by Anchor, head on over to Anchors Facebook. (Theres a fun contest happening where you can win exciting prizes in the month of July). YAS! What are you waiting for? Go stand a chance to win something now. Merz Aesthetics reaches One Million Ultherapy Treatments Worldwide! Merz Aesthetics has reached over One Million treatments! Last week i managed to catch Merz Aesthetics during the exhibition fair and found out that they have announced that Ultherapy® is celebrating the milestone achievement of providing one million treatments globally. It has been globally launched in 2008, and has been well known for its non-invasive ultrasound device which has become a game-changer in physician offices worldwide by using the body’s own regenerative response to gently and naturally stimulate collagen growth (and by that, it also means no knives and needles going through the skin. YAY!) With this technology, the revolutionary treatment is the only U.S FDA-cleared non-invasive skin-lift for neck, under the chin and on the eyebrow. Now Authentic Ultherapy™ is also U.S FDA-cleared to improve the appearance of lines and wrinkles on the décolletage. I was lucky enough to also catch a sharing session by Dr Cheok Jia Rhong, where he mentioned that “Ultherapy® is frequently requested in my office because it’s non-invasive, naturally stimulates collagen growth, and provides visible results. Because of this, the treatment has become a favorite among my patients, so it is no surprise that it has reached such a remarkable milestone,” states Dr Cheok Jia Rhong, Aesthetic Medicine Practitioner (LCP Holder). “Not only does the treatment deliver these incredible benefits, it also requires little to no downtime, allowing those treated with Ultherapy® to quickly get back to their everyday routines.” And i have to say that painless treatments with results are the key to the beauty industry in today's era (cause nobody enjoys pain and permanent damage). Making the treatment even more popular among physicians, Ultherapy®’s proprietary DeepSEE™ ultrasound imaging allows physicians to see the detailed layers of tissue targeted during the treatment to ensure energy is deposited where it will be most beneficial. This unique technology is supported by more than 50 clinical studies, more than 60 published, peer reviewed papers, and over 100 patents worldwide. I even had a chance to get a close up with the machine and im pretty amazed on how techonology works! “Ultherapy® continues to lead in the category due to its breakthrough, award-winning innovation, our dedicated physicians, and consistent patient satisfaction. We look forward to celebrating the next million treatments.” After hearing out about Ultherapy throughout the session, i learned so much about how to maintain skin elasticiry and on other solutions that does not require you to go under sharp objects. YAY! Just about a week ago, I attended the Miss & Mrs. Prestige International Pageant 2017 Press Conference and I can't believe my eyes that I'm actually seeing beauty queens right in front of my eyes. The grand ceremony of "Miss & Mrs. World Prestige International Pageant 2017" has aimed to be on par with world-class Paris Fashion beauty industry ceremony. WPI was more than glad to announce that Gauraro Joaillerieis as Miss & Mrs. World Prestige International Pageant 2017's main diamond sponsor. The Miss & Mrs Prestige International Pageant 2017 this year was covered under the theme of "The Beauty of Great Love" to make this world a better place. WPI believes that beauty begins from the inside and all the finalists present possess three qualities of beauty which would be appearance, inner beauty and social contributions as they compete to win the title of Miss & Mrs World Prestige International. Who will be holding the 2017 Miss Prestige International Pageant trophy? To feature this year's Miss & Mrs. Prestige International Pageant 2017, WPI is glad to collaborate with New Shanghai Group for the launch of “Miss & MrsWorld Prestige International Pageant 2017”. The operation manager, Ms. Wong added: “we are deeply appreciated our valued venue sponsor -New Shanghai Restaurant for today full support. We are proud to feature their brand in the Prestige recognition magazine and video of the interview for the best food at New Shanghai Restaurant by our grand champion of 2016 Miss World Prestige International as the reward". At times I do wonder what are the challneges of being a beauty queen. And after being at the launch, I must say that it takes more than just beauty to be able to wear the crown. You must have confidence, skills, talent, brains and also the ability to set a good example to society. I have to say that im impressed with the current candidates that have made it to the finals in 2016, and I really look forward to the upcoming candidates. Know anyone you think who might be able to snag the title? Contact details are below. Ordered early June, and my parcel arrived just in time for Raya. YAY! I really don't know where to start as there are just so many things to say about Althea this festive season. If you haven't noticed, Althea decided to join in the Raya festive season by having crazy promotional offers which is inclusive of a special Althea Limited Edition Raya box. What's there not to love? Since I've been collecting almost all their boxes at home (call me a hoarder for all I care), I couldn't resist but to get myself this. Now, let's have a more detailed close up on what I got. First up in my unboxing attempt would be an Aritaum Cushion hair brush. Why did I get myself a hair brush? Because always needed a cushion hair brush for milder brushing. I was told that if you have 'hair fall' problems, it would be best to use a gentle brush like this cushion hair brush. I always tried to look for a hair brush similar to this, but it's usually so pricey! But I was really surprised to get this from Althea at only RM19 *Steal deal* and I have no regrets! Being it a Raya season, I believe that makeup plays a really important role to enhance your Raya outfit. So please bare with me with my makeup purchases. Hehe. I decided to get myself two lovely lip shades one, featuring Lizly Matte in Awesome Marsala and another lip shade featuring peri's Ink Velvet in Celeb Deep Rose. Both have really interesting textures and they leave a very natural tint shade onto your lips, which I don't have to worry about reapplying after I eat at Raya open houses and etc. Hehe. You like? I also got myself this pretty cool Eyebrow tattoo which I cant wait to try it out. Always wanted to give it a go, but never really had the guts to really apply it cause I used to be really bad in applying eyebrow shades. But after lots of practice over the months, I am ready to take up the challenge. On the website, it says that the tattoo will be good enough to stay on for about a week which also means I get to save time on days when I wake up late. HAHA. Will definitely do a more detailed write-up on this soon. Next would be a Triple Contour Compact by A: Concept. Not exactly sure how to use this yet cause usually, my contouring compacts are in one solid color. I decided to get this cause I belive that it would leave a very natural shading on your skin, and it can double as eyeshadow too! I managed to do a slight swatch on it and I'm not too impressed with the pigmentation sadly. Being slightly tanned, this doesn't really show on your skin that well, but if you want a natural look, then this would be great.